Anyway. Worms 4. After a few months on iOS it's now available in the Play Store. 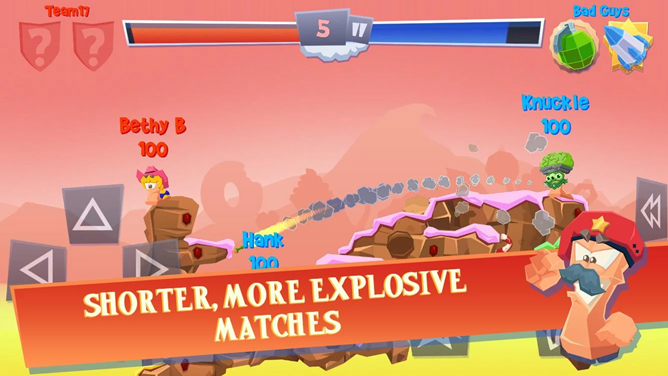 You could be forgiven for passing over this one, since the core ballistic gameplay of Worms hasn't changed in a couple of decades - if you've somehow avoided playing it up to now, it's more or less a cartoony version of Scorched Earth and other multiplayer tank games. And indeed, Worms 4 includes tiny cartoon worms that spout pop culture references in squeaky voices, ridiculous weapons, and addictive multiplayer, just as expected. But that's not all. In addition to a general improvement of the 2D graphics plus better controls and menus for mobile, the latest game restructures the whole experience so that it makes more sense on a phone or tablet. 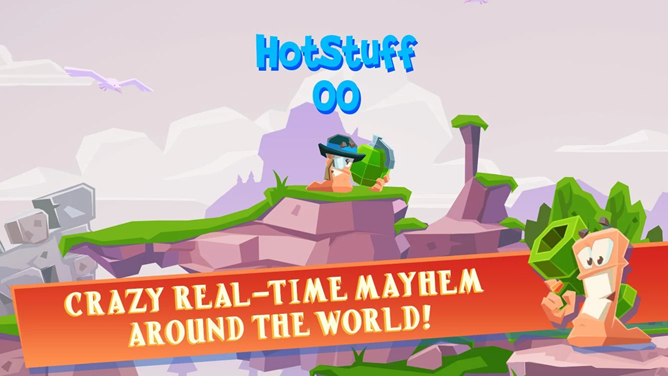 Scoring is given the familiar three-star treatment, live online multiplayer is one-on-one so that rounds are fast (and so half the players don't drop out), and the overworld now has a more dynamic social system. Players are divided into factions worldwide, and every victory or defeat contributes to the larger conflict. 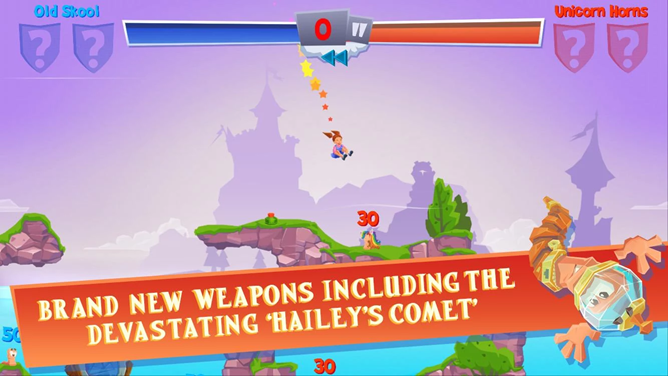 The game has a selection of new weapons and movement tools as well. 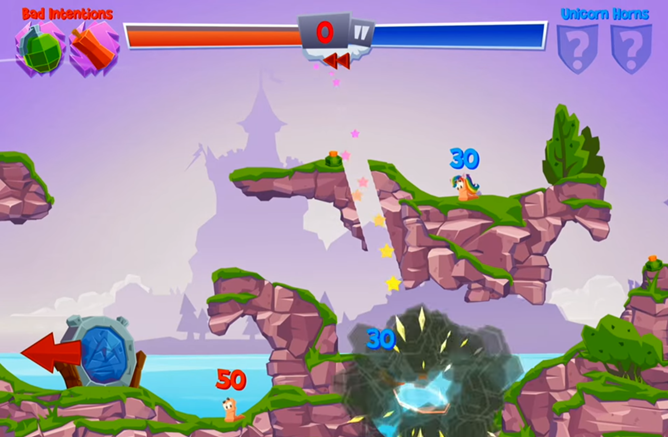 Worms 4 is available for phones and tablets, but not Android TV, more's the pity. It costs $2.49 to get in, and there are in-app purchases for currency, but they only go up to about $4.